You’ve never seen anything like this before! 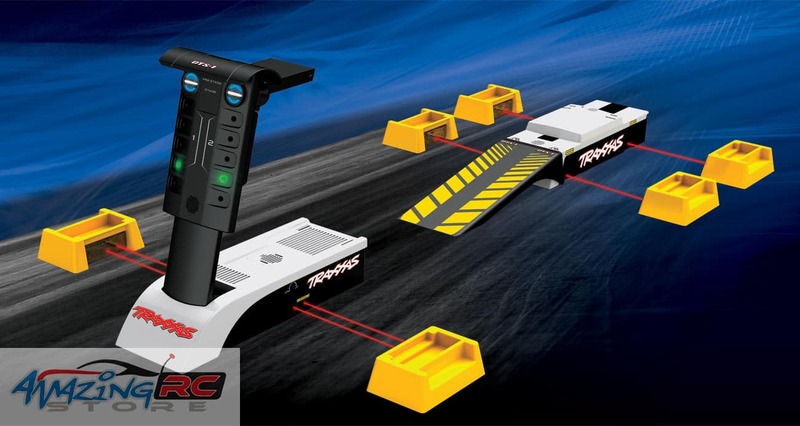 Traxxas innovation takes your racing fun to a whole new level with an authentic, portable, and affordable drag race timing and scoring system. The DTS-1 unfolds and turns any strip of smooth asphalt into your own personal dragstrip. Everything has been scaled to re-create the entire drag racing experience with as much accuracy and realism as possible. The center point is the authentic christmas tree with its super-bright LED display and modern stage light configuration. Dual beams on the starting line allow competitors to pre-stage and stage with laser-precise accuracy. Depending on your quickness and skill, you can select either a Pro or Sportsman tree for the countdown. 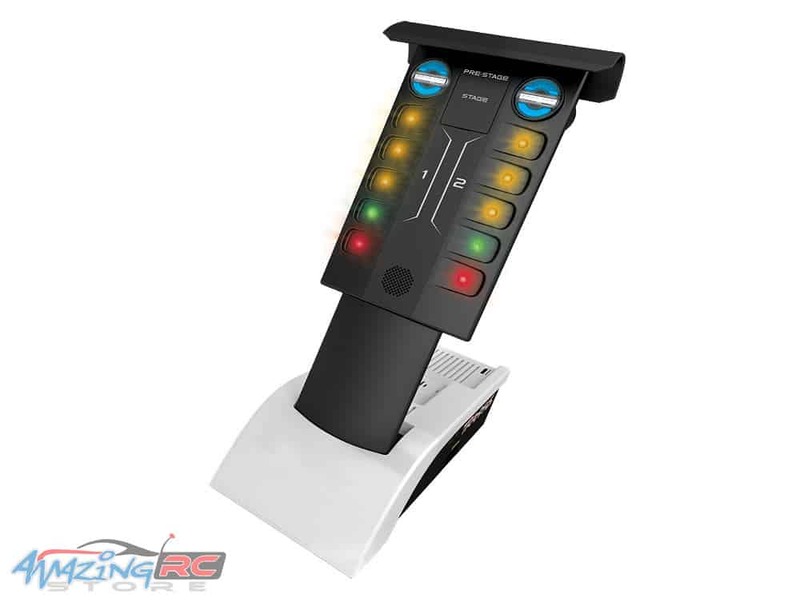 When the lights go green, the race is on–but don’t jump the start or you’ll be disqualified! At the end of the track, the finish line beams determine the winner with millisecond accuracy. Race up to 330 feet, the equivalent of a 1/4 scale quarter mile. Each of the DTS-1’s precision lasers is returned by a highly efficient reflector. 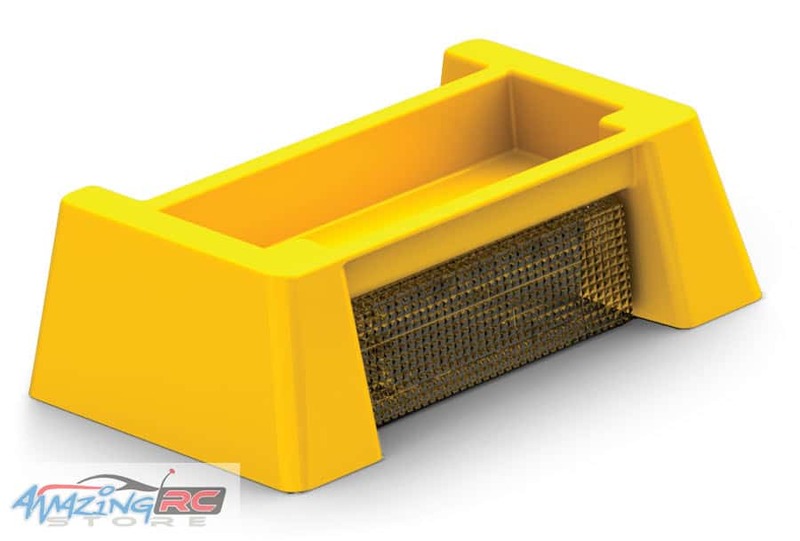 Each reflector features a pocket for sand, rocks, or other ballast if needed on windy race days, and the reflectors stack for easy transport. Setting up the reflectors takes only seconds; DTS-1 alerts you by sound and LED indicator when each reflector is properly positioned. 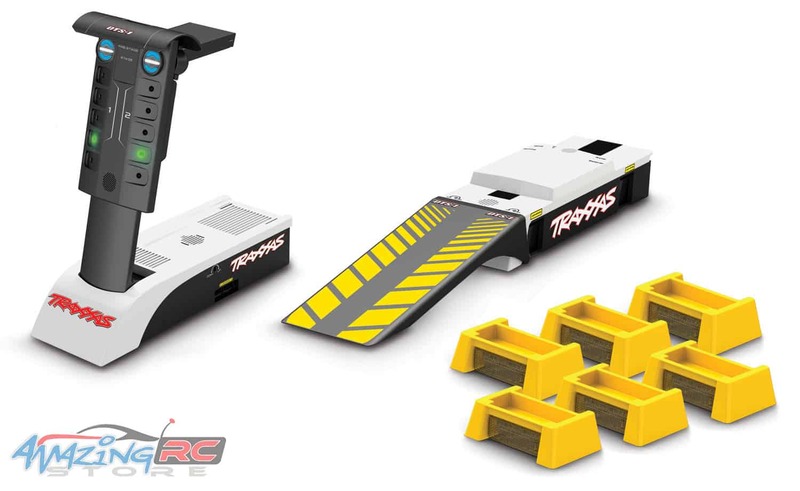 The TQi radio system is Bluetooth Module or Docking Base ready so that you can use your Android, iPhone or iPod touch and Traxxas Link to capture all the nuances of Pro competition. 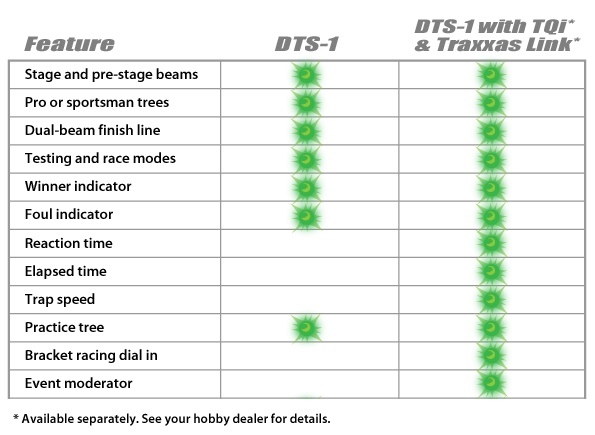 Traxxas Link now support the DTS-1 to fill in your time slip with reaction time, elapsed time, and trap speed in actual miles per hour. Keep a run history on each of your models. 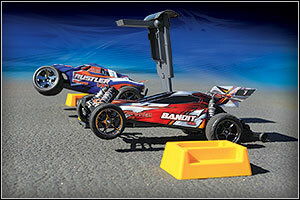 Share time slips and setup race events with your friends -Traxxas Link runs the race and fills in the brackets for you. Dial in your ETs and any two cars can compete fairly, regardless of their top speeds! Race like the pros, using staging strategy to pressure your opponent. 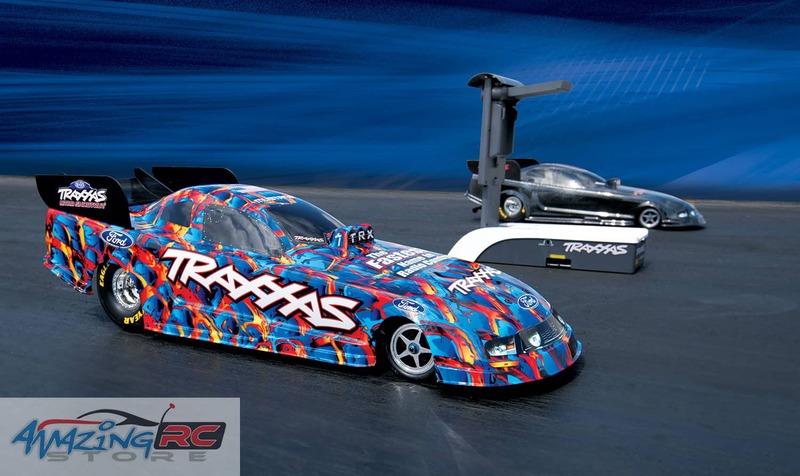 Only Traxxas makes drag racing so easy, accurate, fast, and fun! Already a Traxxas Link user? Be sure to update your app with DTS-1 support! The Traxxas Link Application is available free on Google Play and the App Store.